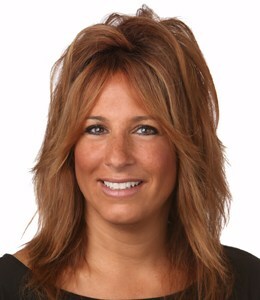 My name is Gina Dingman and I represent Realty Executives. I have been selling Real Estate for over 15 years. I am very active with the Local Chambers of Commerce, Walworth County United Way and other local organizations. While at Realty Executives I have been very successful with all types of transactions. From new buyers to retirees. Conventional sales to short sales to foreclosures. I have an excellent local base and have been known for my aggressive skills to market properties for quick sale at a price my seller's are very happy with. For Buyer's I have taken the time to go through many houses until I find the perfect home for the price the buyer is looking for. I have a team in the office that can be utilized at anytime for extra support. When listing a property I will take the seller's through the entire process. From offering postings on all websites, to presenting offers, attending inspections and finally attending the closing. Yes agents today don't always attend the closing. When Listing a property if an agent calls for a showing that call comes to me! That is very important other agents have all calls go to the office secretary or even a third party showing company. This does not allow another agent to be told all there is to learn about your home! In summary I think the most important part of your process to choose an agent should be someone you are comfortable with that will give you their undivided attention from the lising all the way until closing. For Buyers it is important to choose and agent that will go the extra mile to find the perfect home! I do feel that someone is me! Whether Buying or Selling I promise to go the extra mile to get the results you are expecting! I want to make your process enjoyable!